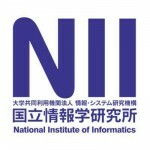 On March 4, 2016, the National Institute of Informatics (NII) hosted a meeting of the Asian open access (OA) community in Tokyo, Japan. The meeting was co-organized by COAR and held in conjunction with the Research Data Alliance Plenary meeting. The aim of the meeting was to introduce members of the Asian open access community from different countries to each other and launch an Asian community of practice for OA that will facilitate greater knowledge sharing about trends and challenges. Kathleen Shearer, Kazu Yamaji, Kostas Repanas (2016). Asian Open Access Meeting Report. 8p., April.